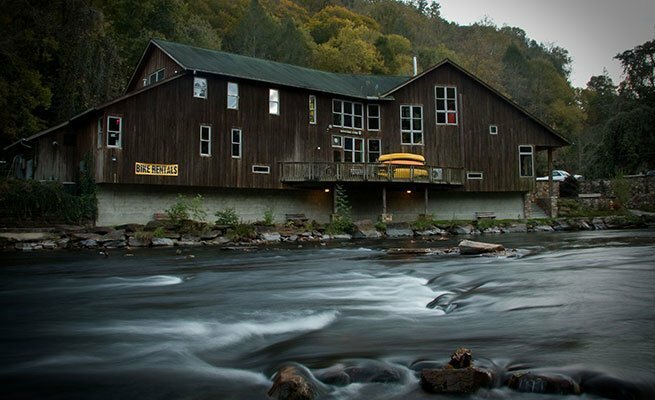 Located at the intersection of the Nantahala River and the Appalachian Trail, NOC’s Outfitter’s Store is the world’s most-famous whitewater specialty shop. 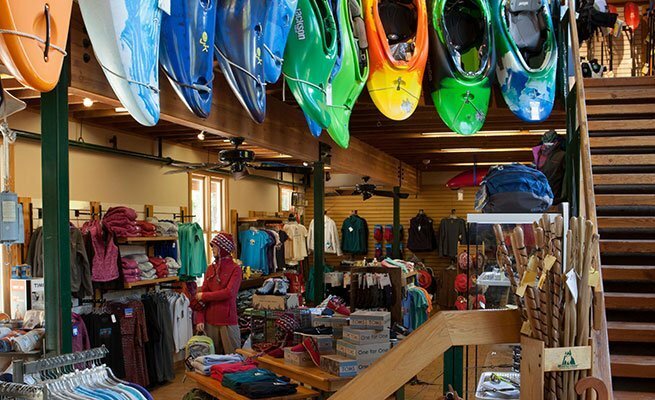 The two-story store is home to an incredible selection of whitewater canoes, kayaks, stand up paddleboards (SUPs) and a full range of paddling gear, apparel, footwear and accessories. 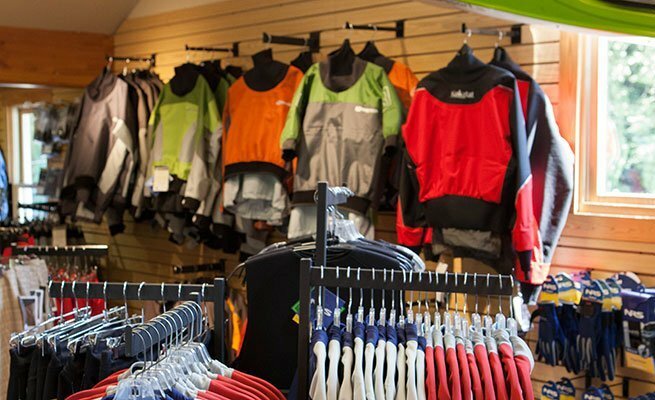 And, of course, the Outfitter’s Store has everything you need to outfit your boat just the way you like it. Beyond paddling the Outfitter’s Store carries clothes and supplies for camping, backpacking and trail running. And all outdoor enthusiasts will find casual lifestyle apparel and accessories to make themselves comfortable in camp or at home. 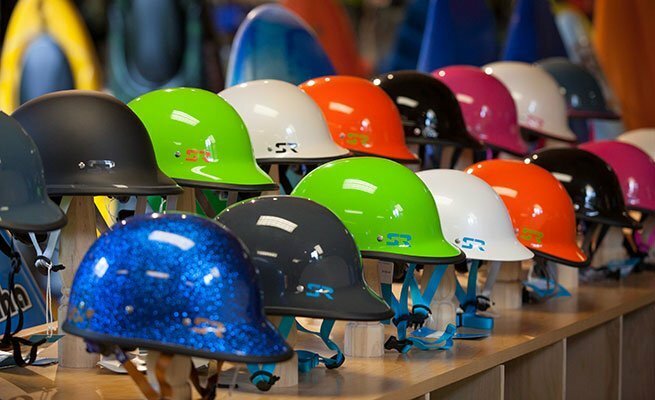 We use the gear we sell, so we’re always excited to help you make the right purchase. Call the Outfitter’s Store directly at 828.488.7230. Mail can be delivered to both 13077 & 13078 Highway 19 West. **Please note the Outfitter's Store will be closed on Thanksgiving Day, Christmas Day and New Year's Day. We will be open from 10-3pm on Christmas Eve. 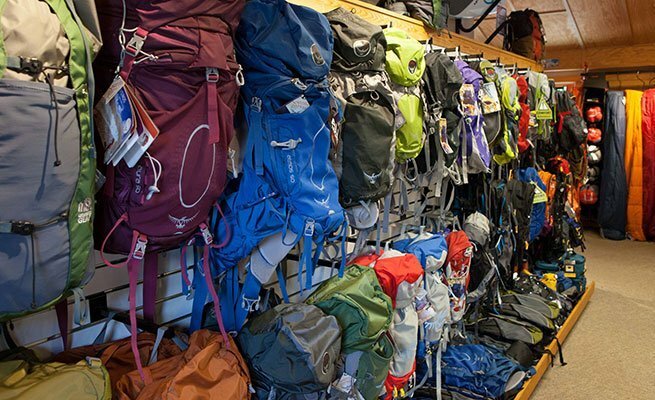 Thru Hikers: Please download the Outfitter's Store Thru Hiker FAQ Sheet here. The Outfitter’s Store is the place to demo a new boat before you buy it. Ask an associate about the Flatwater Performance Package at $39.99 and demo a Jackson Kayak flatwater boat on Fontana Lake this season!